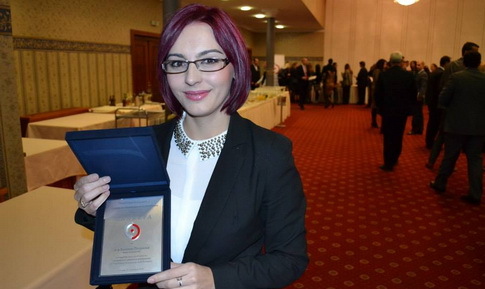 Blagica Petreski has been awarded the annual award of the Insurance Supervision Agency of Macedonia for the best paper on risks and insurance, for her research paper “Empirical analysis of the risks and resilience to shocks of the Macedonian insurance system”. The paper is a product of the project earlier supported by the Geneva Association for the Study of Insurance Economics. Details on the research could be found here.